When I am bored, frustrated, or distracted, I sometimes comfort myself with the mandarin prose of the 19th century historian Thomas Babington Macaulay. His lengthy but balanced sentences, his piercing (if sometimes show-offy) erudition, and the clarity and firmness of his positions always calms me down with a sense of Victorian certainty. 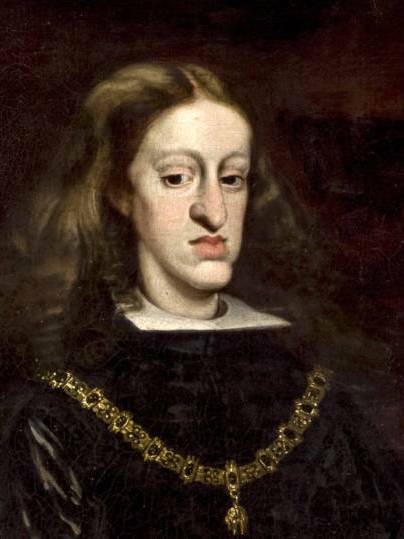 Yesterday I was looking at his essay on “War of the Succession in Spain”. After seeing The Favourite ( my reaction to the movie here), I renewed my interest in the late Stuart period and its virulent political polarization. Rumbling beneath the action of the movie are the battles of the War of the Spanish Succession (1701-1714), and their costs. As it happens, Macaulay wrote a review of a book by Lord Mahon, History of the War of the Succession in Spain, and I decided to goof off by reading it. As with all Macaulay essays, he spends a little time on the book and its author, then goes off to tell the real story, the one the author somehow cloddishly missed in their urge for publication. Mahon does not come off that well. The effects of a change from good government to bad government are not fully felt for some time after the change has taken place. The talents and the virtues which a good constitution generates may for a time survive that constitution. Thus the reigns of princes, who have established absolute monarchy on the ruins of popular forms of government often shine in history with a peculiar brilliancy. But when a generation or two has passed away, then comes signally to pass that which was written by Montesquieu, that despotic governments resemble those savages who cut down the tree in order to get at the fruit. During the first years of tyranny, is reaped the harvest sown during the last years of liberty. That’s worth reading carefully. There’s a lot in this paragraph. I think his observation, that burning the stored power of a state can give a very bright light, is key to some of what we are experiencing now. Not every prognostication of doom and destruction resonates with our current political moment, no matter what people may claim, but this one certainly does. Institutions take constant, unrewarding, and often frustrating maintenance. As always, maintenance receives no great plaudits. It is the province of those who hold doing their duty as the highest good, and who rely on the respect and cooperation of those who understand how important their quiet hidden work is. Beware the leader who cuts down the long-maintained fruit tree and says, “It used to be hard work to get at that fruit, but I alone have made it easy for you, my people.” And, yes, “savages”, probably did not do this, unless they were raiding someone else’s orchard, but the point stands.